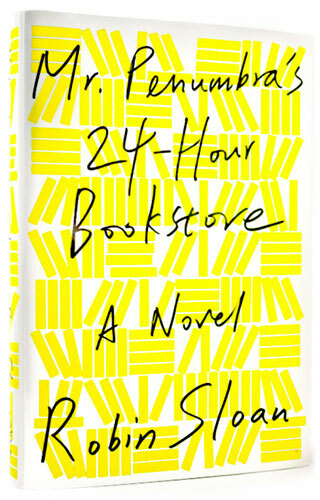 Reading Mr. Penumbra’s 24-Hour Bookstore, by Robin Sloan made me feel like a gamer navigating a maze in the old computer game Zelda. What a fun story this is, especially for someone who loves books! After overcoming my shock of once again encountering the “Singularity” concept spattered throughout the story, I marveled at the clever, entrancing concept of this book. The main character is an unemployed young man who walks into a weird-looking bookstore in San Francisco seeking a job, only to discover a short time later that the store holds an intriguing secret. He’s hooked on solving the mystery, and embarks upon an adventure which will keep the reader guessing all along the way. It’s a great story! This entry was posted in Uncategorized and tagged Books, computers, gaming, Mr. Penumbra's 24-Hour Bookstore, Mystery, New York, Robin Sloan, San Francisco. Bookmark the permalink. I really want to read this one! Thanks for the review! So happy to provide a starting point for reading this wonderful book! Please touch base again with me after you’ve read it! Can’t wait to hear your reaction! I’ll be looking everywhere for this one. Just up my alley (of interest,that is). Thanks for the review. Thanks for your comment! I tried not to give too much away – never want to ruin a good mystery! I did not read any reviews prior to reading this book which made it all the more enjoyable for me as I did not know what to expect! I’ll be curious to hear if you like the book! Please let me know! This has been on my TBR for way to long. Finally I am reading and just loving it!